Consider plastic surgery in Thailand, where you can recuperate at one of the many tropical resorts. for the plastic surgery alone in their countries. Reward yourself with a plastic surgery that could boost your confidence, improve your quality of life, or just makes you look and feel good about yourself. All plastic surgery procedures are performed in international standard medical facilities or hospitals, and you will be looked after by well-trained staff. Our plastic surgeon, Dr Witoon Wisuthseriwong, is one of the prominent national board certified plastic surgeons in Thailand. 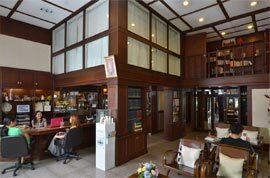 His clinics are located in central Bangkok and Chiang Mai, offering a full range of plastic surgery procedures. Feel free to visit to one of our plastic surgery clinics either in Bangkok or Chiang Mai for a consultation - free of charge! Our English speaking staff are friendly and will ensure you have a pleasant and relaxed visit. Alternatively, you can contact us by email or telephone. We would be more than happy to answer any questions about plastic surgery procedures you're interested in. We would also be more than happy to recommend hotels and resort for your stay in Thailand. The thought of recuperation on your own wouldn't be so daunting if you had this view from your window. Or you could bring your friends and family for a holiday. 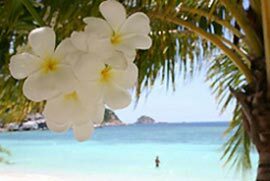 A nice quiet beach is just one of the options you have in Thailand, or a golf resort, or even a shopping trip. while you recuperate after your plastic surgery. Dr Witoon is a national board-certified plastic surgeon who has performed tummy tuck surgery (Abdominoplasty) in Thailand for over 30 years. His clinics are located in central Bangkok and Chiang Mai. 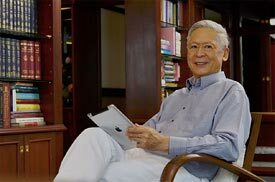 Dr Witoon is a national board-certified plastic surgeon who has performed breast lift and/or breast reduction surgery in Thailand for over 30 years. His clinics are located in central Bangkok and Chiang Mai. "... Thanks for giving me the body that I thought would never have again. We appreciate the time and aftercare that you gave us. We always felt comfortable knowing that you were around at all times - not many surgeons do that. Thanks again."